Audio has audience, growth and solid ad standards, so where's the investment? There are ample advertising opportunities for brands to take advantage of in podcasting. There are some striking similarities between the internet 20 years ago and podcasting today. In 1997, there were 70 million internet users worldwide. Today, there are 67 million monthly podcast listeners. In 1997, $906 million was spent on internet advertising. Today, $243 million is spent on podcast advertising, which is expected to double by 2020. What ties these parallel storylines together? Measurement. The internet as it was and podcasting as it is have met similar crossroads. Both mediums grew at an unexpected, if not unprecedented pace, and where there’s an audience, there’s a buck to be made. Advertisers sought to capitalize on those opportunities, reaching new captive audiences, but there was a lag between audience growth and the advertising dollars that eventually came. Some of that lag can be chalked up to human nature. People don’t like change, businesses less so than individuals. Individuals are quicker to adopt new technologies, whereas businesses tend to be more risk-averse since they have more to lose. We saw this with the music industry, as Napster was first ignored—in spite of its pandemic virality—and subsequently destroyed, but not before leaving its indelible mark. We saw it with the film industry, with Netflix upending the industry in slow motion thanks to a pivot that Hollywood couldn’t (or wouldn’t) make. In retrospect, it’s a wonder that Hollywood dragged its feet for so long. In the evolution of any medium, the following takes place: the audience arrives, advertisers hesitate but dip their toes in the water, then something happens to address their concerns and dispel the uncertainty that keeps them from going all in. Advertisers are reassured by the trackability of their investments, the validity of their audience numbers and the return on investment. Measurement standards and capabilities arrive to allay their fears. Just like the internet 20 years ago, audio on-demand is at an inflection point. For the internet, this was the era of the IAB and the DoubleClicks of the world (both were founded in 1996). Advertisers clung onto traditional channels for many ensuing years, when they most certainly should have invested more heavily online earlier (hindsight, as they say, is 20/20), but this signaled the legitimacy of the medium—a harbinger of its eventual ascendancy. Fast-forward 20 years, and you see some of the same signs for podcasting. The percentage of people who regularly listen to podcasts, that is to say at least monthly, doubled in a mere four years, from 12 percent in 2013 to 24 percent, and an estimated 67 million listeners, in 2017. This growth is expected to hold or accelerate, as shown by some of the projections mentioned above, due to the confluence of audience growth and improved measurement standards that signal maturity to the industry. The latest IAB guidelines, released over the summer, lent additional credibility to audio on-demand as an industry. There is an inherent limitation to podcast measurement, since listeners tend to download podcasts and listen to them offline. Without an online connection, it’s more of a challenge to determine how listeners are engaging with content. The IAB found a workaround by “setting a standard process for how to analyze their server logs, which can provide information about the device that downloaded a show and, for shows downloaded while listening, to what point it was downloaded,” according to AdExchanger. The new guidelines also include ways to filter out bogus downloads. The future of audio on-demand measurement will also factor in player-based metrics, addressing the limitations of downloads-based information. Just like the internet 20 years ago, audio on-demand is at an inflection point. The audience is there, and it’s growing fast. Advertising standards are in place and will continue to evolve. The technology that captures and measures its audience is increasingly sophisticated. By all accounts, audio is poised for additional growth, which will surely continue to draw in advertisers. The only question that remains is: Will advertisers—especially leery today because of the pervasive ad fraud that in recent years blackened the eye of ad tech—drag their feet and miss out on the opportunities that exist now, forced to pay a premium five or 10 years from now once they’ve caught up with the reality of audience distribution and technology adoption? Time, the only X factor in this equation, will tell. In other words, now is the optimal time to invest in podcast advertising. Audience, and now podcast ad-measurement technology, has outpaced ad revenue, but not for long. 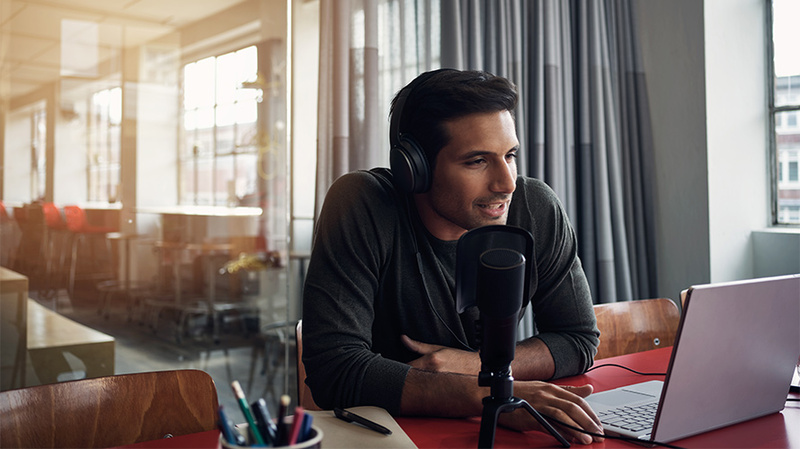 The podcasting audience will continue to grow, by all estimates, and ad-tracking technology will continue to grow more sophisticated. Investment in podcast advertising will accelerate, leading to inevitable price hikes. Invest in podcast advertising before that happens to get the deal you might’ve gotten two decades earlier. Ross Adams is the CEO of Acast.